We all get bored sometimes and that includes our furry feline pals. But did you know boredom in cats can cause some health and behavioral issues? If you're asking yourself, is my cat bored, read on to find out what the signs are before it turns serious. Is My Cat Bored? Is He Overeating? When your cat is constantly eating or never seems to be satisfied with just his normal feedings, it could be a sign of boredom. You may also notice that Kitty is packing on some extra pounds with all his overindulging so it's best to put him on a diet and try to find ways to alleviate his nothing-to-do-blues. Is My Cat Bored? Is She Not Eating At All? Sometimes boredom will take your feline in the opposite direction and she won't eat at all. This isn't a healthy alternative for boredom and can bring with it a whole new set of problems. If your cat refuses to eat, then you may want to try a change in her kibble or try adding some canned food to her diet. If the behavior goes on or there are other symptoms of illness, then be sure to get your cat to the vet for a professional opinion. Is My Cat Bored? Is He Grooming Too Much? Excessive grooming is another sign of boredom in cats and/or a sudden loss of hair through extreme shedding. To help cope with boredom, some cats develop extreme tendencies, which oftentimes can lead to anxiety and depression. Change up your cat's daily routine to help alleviate the boredom and stop it from becoming a mental issue. Is My Cat Bored? Is She Sleeping A Lot? Although, cats do tend to normally sleep 20 hours a day, if this routine turns into longer sleep sessions or is accompanied by legarthy, then it may be just boredom seeping in. Try interacting with your cat more, or finding new and interesting interactive toys that will entice her into play sessions. And, of course, there's always catnip. Is My Cat Bored? Is He Being Destructive? Cats that are left to their own devices for long periods-of-time can become destructive. This is a signal to you that Kitty needs more interactive playtime with you. Destructive behavior that goes unnoticed can oftentimes lead to depression in cats, so get your cat up and movin' to avoid both these situations. Is My Cat Bored? Is She Going Outside the Litter Box? Cats that are normally very clean and meticulous about covering up their messes in the appropriate area, can sometimes resort to going outside of the litter box... negative attention is better than none at all! If this is occurring in your home, pay more attention to your cat by engaging her in play and some extra love. Cats love to use their natural instincts of pouncing, stalking and searching. 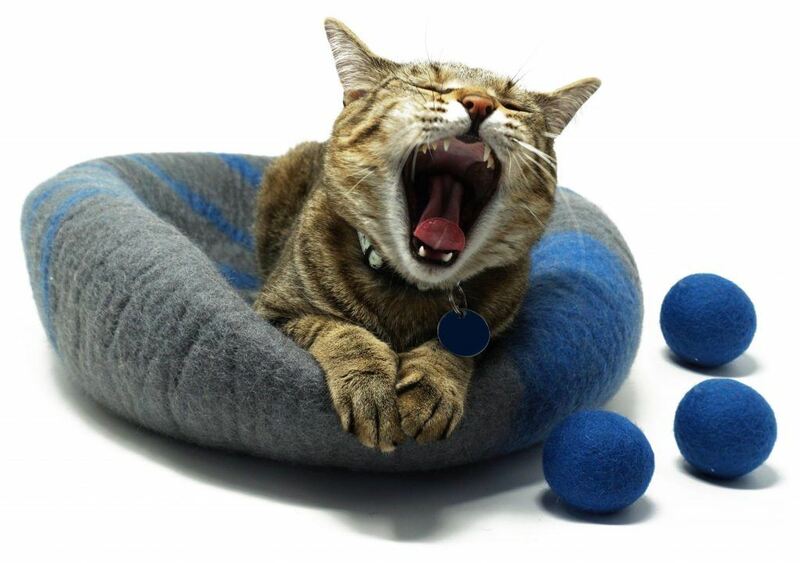 To help get your kitty engaged in play, here are some fun ways to defeat boredom in your cat. These can be as simple as a cardboard box with peek-a-boo holes cut into it, crinkly or paper shopping bags (with the handle cut off) make a great place to hide or cat tunnels that provide your pet with the opportunity to hide, pounce, play and run. 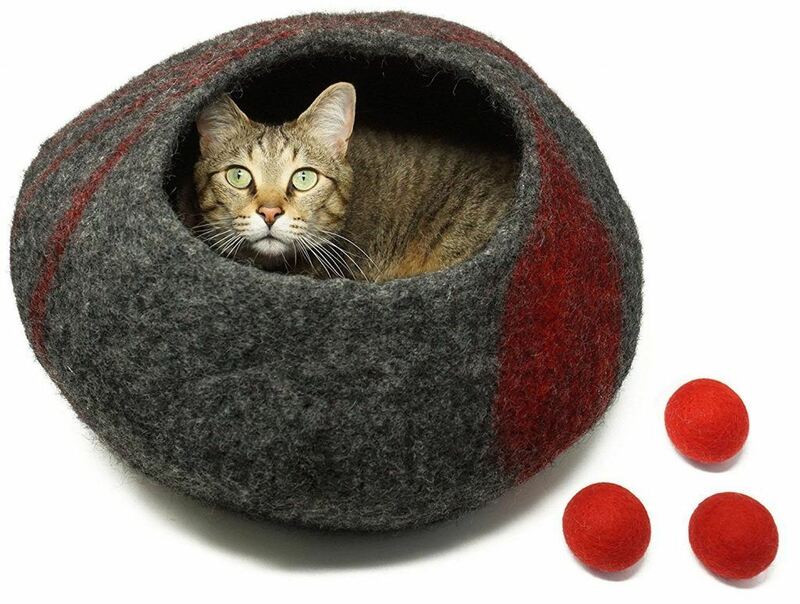 Check out this 3-way cat tunnel o﻿﻿n Amazon. Every cat needs a scratching post to exercise on and to provide the opportunity to use its claws in a productive manner. Even cats that are declawed like to "scratch" on scratching posts! If you can, place the post in front of a window where Kitty can watch all the action going on outside while using it. 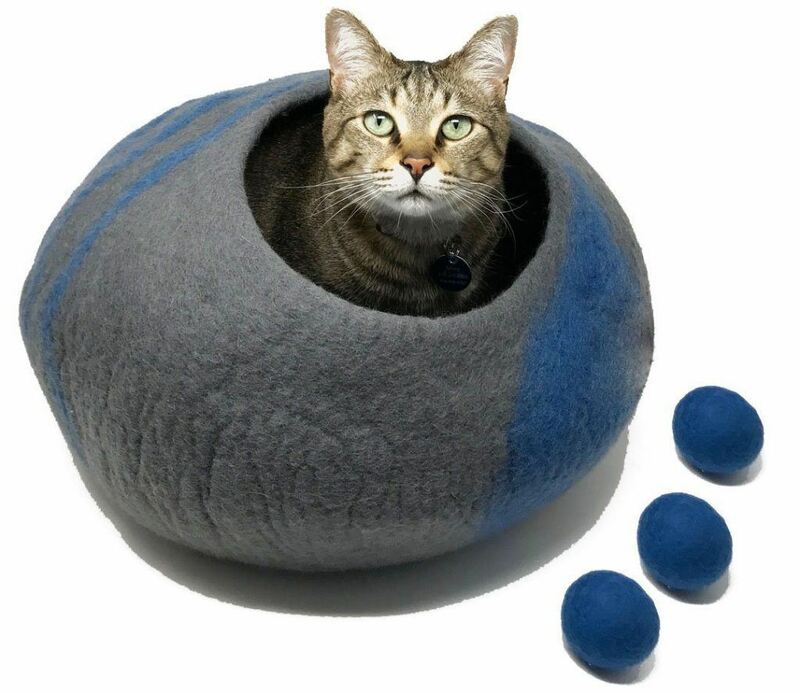 Manufacturers have designed scratching units in many styles including straight posts, trees with many levels and platforms, as well as the condo-style that provides your cat with a place to rest or hide in when he's tired out. Check out the Go Pet Club Cat Tree on A﻿﻿ma﻿﻿zon. Cats love to figure things out so provide him with an interactive puzzle toy that will engage his brain for hours. These toys come in a variety of styles. Some are meant to give a treat reward at the end, while others just provide fast motion to entice your cat into play-mode. Check out the ﻿Senses Play Circuit Interactive Cat Toy﻿ on ﻿Ama﻿﻿zo﻿﻿n﻿. Cats love being outside, unfortunately it's a dangerous world for a cat now-a-days. However, that doesn't mean Kitty can't enjoy some fresh air and adventure with you. One way to do this is by leash training your cat. It may take a few sessions to get her use to the harness and leash, but it can be achieved with persistence and patience. Another way for your cat to enjoy being outdoors while still being safe is an enclosed pen made specially for cats. However, still make sure to keep an eye on her to make sure nothing enters your yard that could pose a threat. Check out this amazing outdoor cat pen on Amazon. Perhaps the best way to defeat boredom in your cat is to just simply spend more time with her. This can be done through grooming sessions, interactive play with wand toys or having some cuddle time on the sofa. Whatever the action is, your cat will love the time and attention you shower upon her. Check out these fun toys on Amazon. If you think your cat may be suffering from boredom, then try one or all of the suggestions above. However, if your cat shows more serious symptoms then be sure to take him to the veterinarian to rule out any underlying health issues.